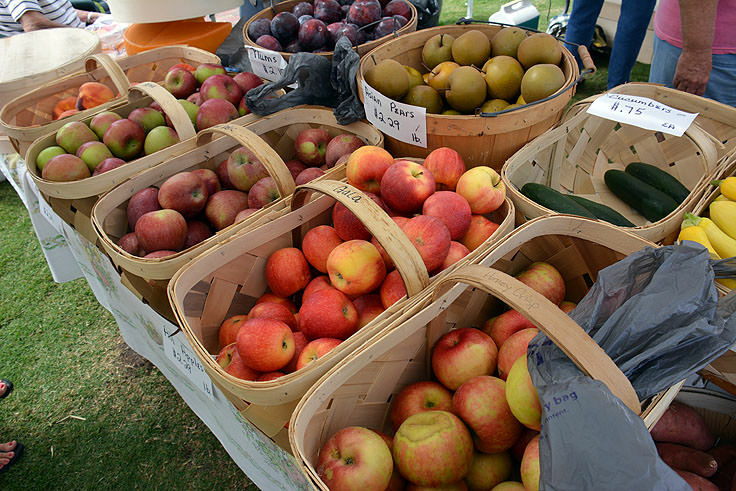 The market generally opens in late April or early May for the season, and runs until mid-October. 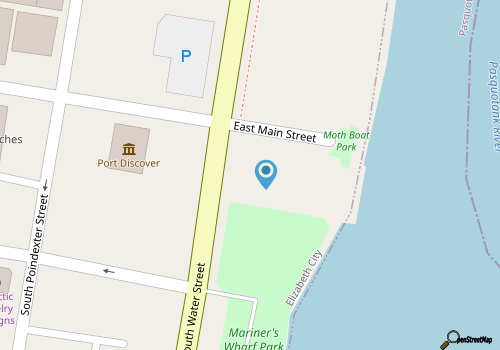 When the season arrives, the small patch of green space along the waterfront located in between East Fearing Street and South Water Streets, known as the Mariner's Wharf Park, becomes a hub of activity with dozens of white tents and small vendors' stands, each presenting a myriad of specific crafts, produce, or other local goodies. Dozens of vendors are represented, in fact, and are all local or regional businesses that bring their wares to every weekly market to a large and buoyantly excited crowd. For produce, depending strictly on the season, culinary fans will find an assortment of homegrown staples, including peppers, summer and autumn squashes, cucumbers, sweet potatoes, melons, snap beans, and of course, an array of different tomatoes. This wide produce selection compliments an equally wide variety of fresh condiments, dairy and meat products, including farm fresh eggs, cheeses, honey, jams and preserves, and pork, chicken, seafood and meats. While the expansive assortment of fresh produce and other foods arguably take up the bulk of the market, there are plenty of other treasures to uncover as well. Fresh cut flowers and locally grown plants and trees are also available, as are prepared foods including fresh breads, muffins, desserts, fresh teas and coffees, hot sauces, and an assortment of other tasty delicacies. Serving as fantastic gifts, or great accompaniments to the market's range of local foods, it's easy to do a full week of fresh grocery shopping within the confines of the small but vibrant market. 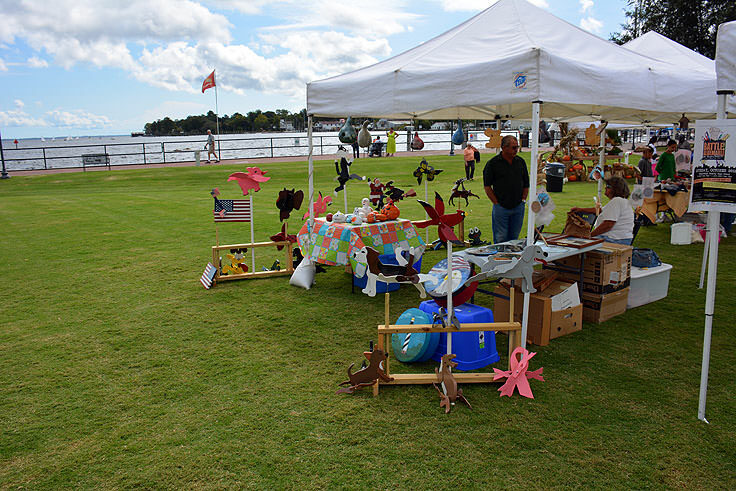 Arts and crafts lovers will want to stop by the many artisan stands, which feature stunning local photography, jewelry, soaps, bird houses, harbor bells, accessories, wind chimes, ornaments, and so much more. While regular vendors are always at the market, the wares change every week, so shoppers will always be surprised with a wide range of handcrafted treasures that can't be found anywhere else. 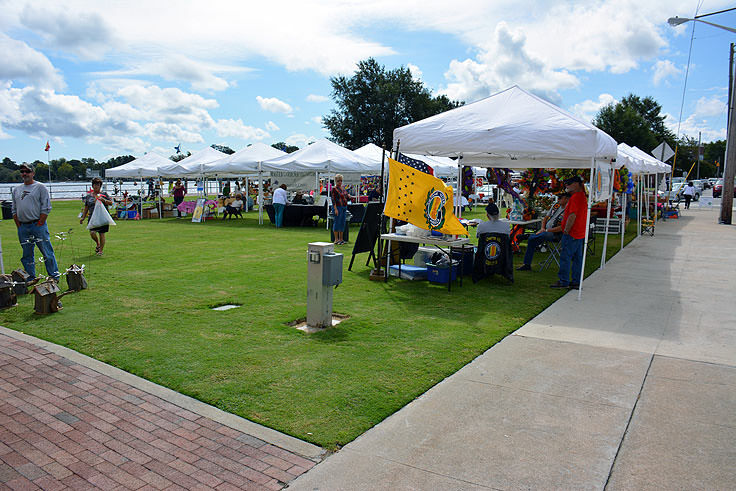 The market is always open on Saturdays throughout the season rain or shine, from 9:00 a.m. until 1:00 p.m., with plenty of parking available in the lot adjacent to the Mariner's Wharf Park. In addition to the regular vendors, which can usually be found at the market every week, the Downtown Waterfront Market also features a wide range of local musicians, cooking demonstrations, and special projects and programs designed just for kids. 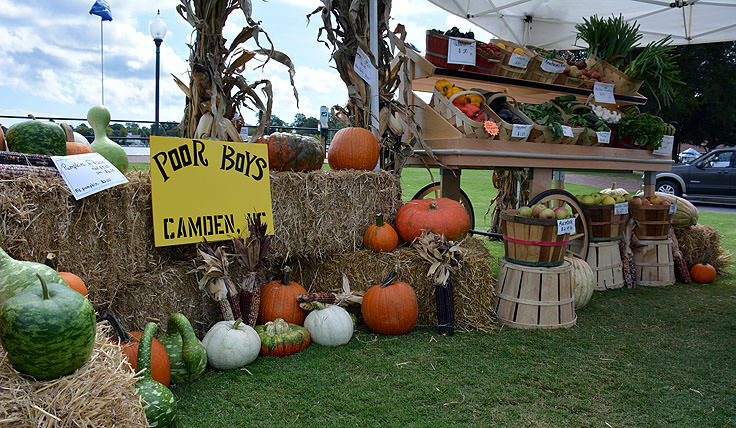 From painting and crafts to special farming and growing workshops, these special kid-friendly events, (which are free to all young patrons), will get the market's youngest visitors excited about homegrown and local goods. The Downtown Waterfront Market is easily one of the most happening spots in Elizabeth City's downtown on Saturday mornings, and it won't take newcomers very long to discover why first hand. With a seemingly endless array of fresh local goodies, that represent virtually all aspects of the Albemarle's cultural, artistic and agricultural scene, shoppers will find virtually all the best that Elizabeth City has to offer in one centralized, and genuinely friendly, location. Bring along your appetite and a little cash, (not all vendors at the market accept credit cards), and come see why the Downtown Waterfront Market is arguably one of the most popular summertime attractions along Elizabeth City's scenic riverfront.